Fresh off its initial public offering last week, Spotify is reportedly getting ready to overhaul its free music streaming service as it tries to keep Apple Music at bay for as long as possible. The redesign will reportedly focus primarily on making the Spotify mobile app easier to use, according to Bloomberg, which first reported the redesign. According to the report, Spotify plans to make playlists more easily accessible for its non-paying users and is expected provide more control over what songs a user hears. The current version of the free service prohibits the user from selecting what song they want to hear and instead requires them to listen to playlists and albums on shuffle. The idea of extending on-demand features to free users has been kicked around internally at Spotify for some time. Reports that the company intended to offer a limited version of this kind of control to users first surfaced in 2016. Earlier this year, a user posting on Spotify’s community forum revealed screenshots of what appeared to be a new version of Spotify that included a streamlined interface and stripped-down user controls. UK music blog Music Ally reported in February that the screenshots were related to a test of new on-demand features being extended to Spotify’s free tier. The test reportedly allowed non-paying users to access 750 on-demand tracks made available in 15 constantly changing playlists. Spotify confirmed the test to Music Ally but did not provide any additional details. For the music streaming service, growing its free users could be key to its long-term success. The newly public company is almost entirely reliant on its paid subscribers for revenue at the moment. 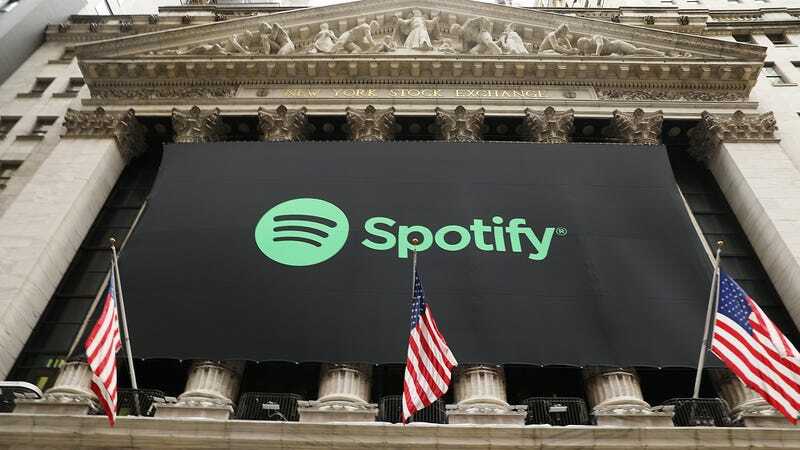 According to its filings with the US Securities and Exchange Commission, premium subscribers accounted for 90 percent of the company’s revenue in 2016 and 2017 despite making up less than half of the Spotify userbase. A free tier of service is also one of the primary advantages Spotify has over its rival Apple Music. The streaming service from Apple has been quickly gaining on Spotify in paid subscribers, growing at a rate of five percent each month compared to Spotify’s two percent growth, according to the Wall Street Journal. It’s projected that Apple Music will surpass Spotify in paid subscribers before the leaves start to change colors this fall, which means the clock is ticking for Spotify to find an alternate source of revenue.